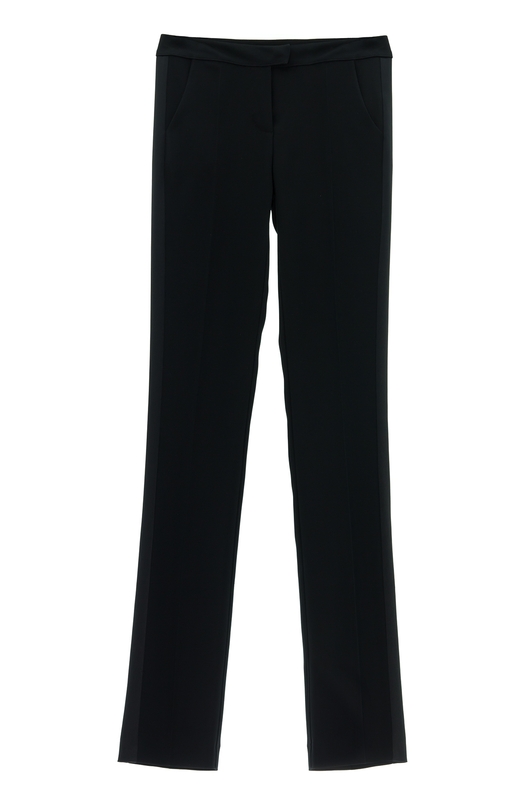 The original tuxedo trouser, these fitted and well cut black pants feature elegant black satin details, gracefully highlighting the figure. 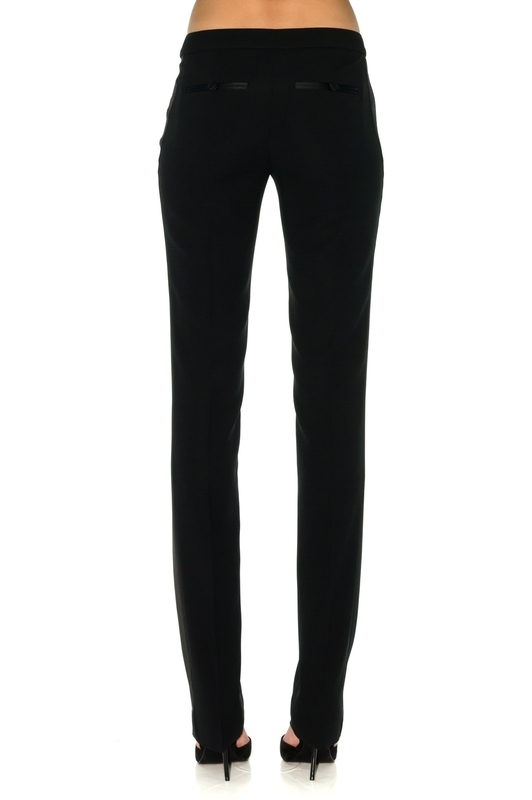 Wear them with a fitted black tuxedo jacket or a form fitting black or white top and high heels for a truly chic, Parisian look. A timeless collection borrowed from menswear, largely feminized by its cuts worked so highlight your major assets.